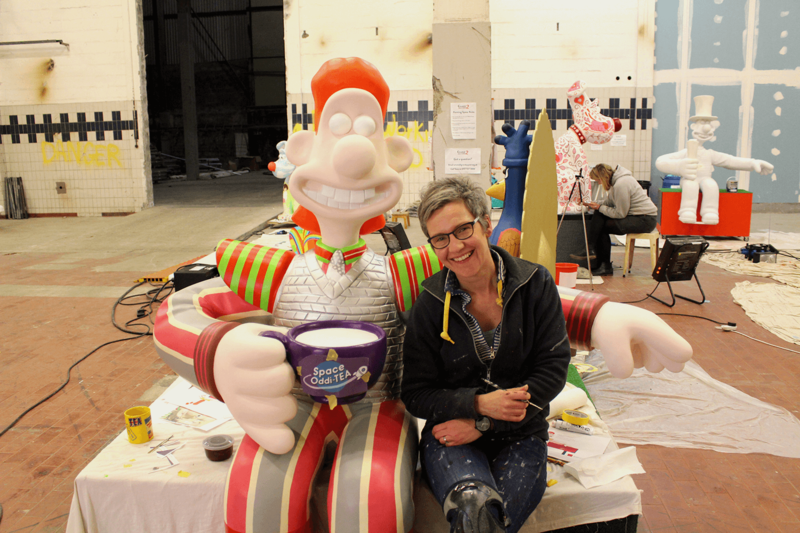 With the recent launch of Gromit Unleashed 2 — The Grand Appeal & Aardman Animation’s latest Bristol charity art trail, we caught up with seasoned trail artist Carys Tait (aka Carys-ink) to hear her thoughts from a designer’s perspective. How did you first become involved in designing for sculpture trails? Back in 2011, Bristol Zoo organised the first of these kind of trails to hit Bristol — Wow!Gorillas, which raised money and awareness of the zoo’s conservation projects. There was an open call for designs, I submitted one and it was selected — A downhill ski-racing themed gorilla called SuperG — he can still be found in St Nick’s market I believe. 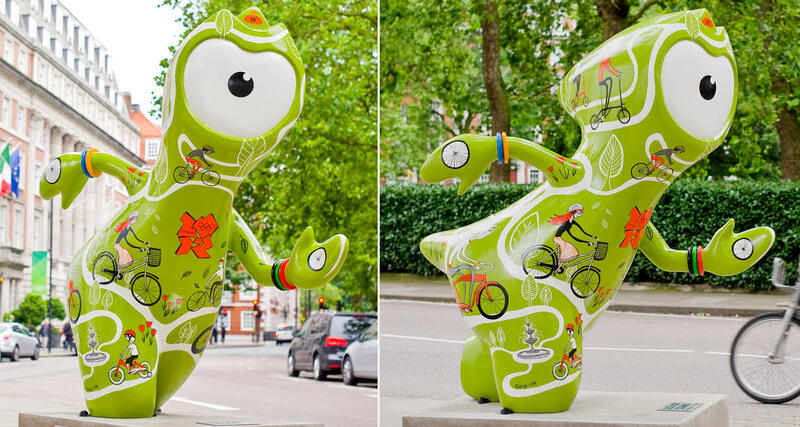 Since then I have designed and painted sculptures for the previous Grand Appeal/​Aardman trails — Gromit Unleashed & Shaun in the City — as well as for the Olympics, London 2012. How does this type of work fit with your regular day job? I’m an illustrator/​designer and generally work digitally, so it is a little different from my usual work. However, the initial design part, developing a concept for the sculpture is much like how I would approach any other project — I tend to think in character terms so generally will try to evolve some kind of persona for my sculpture design. The actual painting is a different kind of challenge, but I really enjoy the opportunity to get the paints out and think through the process of realising a design on a large scale sculpture. Also, it’s interesting and fun to work alongside other artists/​designers/​illustrators in a painting space — everyone comes from different creative backgrounds and it’s useful to be able to ask advice & share tips. What’s involved in the submission process, are there any secrets to getting a design selected? No, I really don’t think there is a formula to getting a design selected, and I’d say this has become increasingly the case. Design is obviously such a subjective thing, and I know that there are always some great designs that don’t make it through because they perhaps don’t have the right kind of mass appeal, or may be similar to another design. In actual fact, I submitted 2 designs for Gromit this time and neither was selected (which I was pretty gutted about! 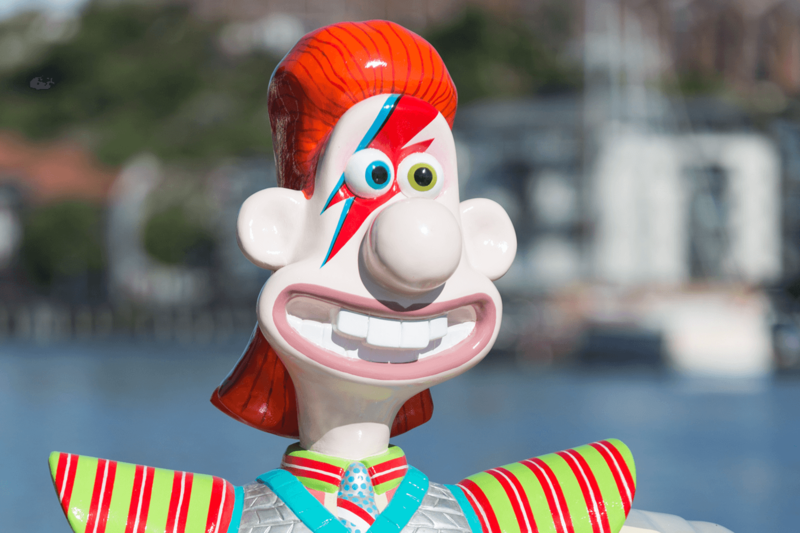 )… But based on my designs and previous work, I was later contacted by The Grand Appeal and asked to create a design for Wallace on the theme of David Bowie, which I did! Wallace obviously isn’t usually one for radical fashion statements, but here he has been inspired to up his style game, taking particular influence from the outfits of Bowie’s alter ego Ziggy Stardust! Because this design was commissioned, there was a small amount of back and for on some of the design details with the Grand Appeal, before the final design was signed off — I guess this is quite similar to how I’m used to working with clients. However, it’s not always like that — many designs would have been selected from the open submission process, some specially commissioned and some with tie-ins to brands/​characters from the likes of Dreamworks and Pixar. This year there has also been a step up in the technology involvement, with numerous automated and electronic sculptures. Previously, trail sponsors may have been involved in the selection process, but now it is much more like a highly curated show, to be fun and appeal to a family audience, but also with an eye on what would be likely to raise the most money at auction. 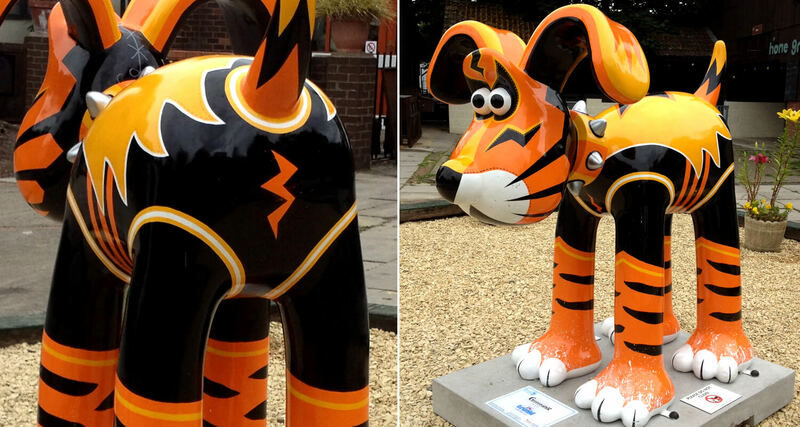 This might sound cynical, but it’s important to remember that, as well as being lots of fun to go out around our beautiful city ​‘Gromit spotting’, the main aim is to raise funds for The Grand Appeal to support Bristol Children’s Hospital. 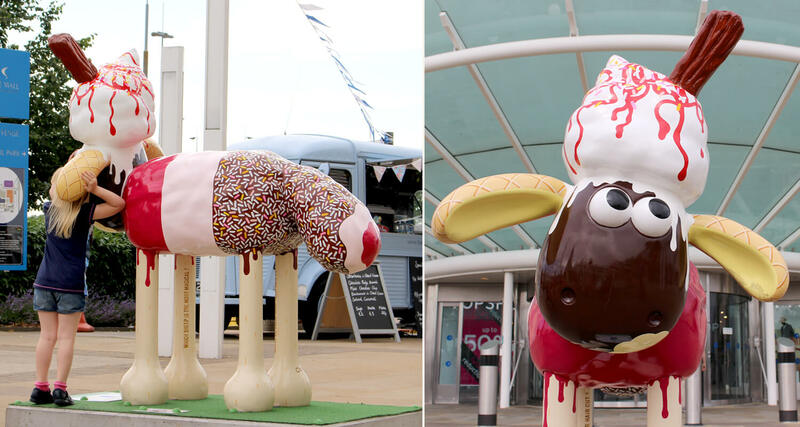 The previous trails — Gromit Unleashed & Shaun in the City — have raised over £6 million, from the sale of the sculptures and related merchandise which is pretty phenomenal. Who comes up with the names for each sculpture? An artist can suggest a name to go along with their design, but the final name is decided by The Grand Appeal — I imagine there is much discussion and hilarity around the naming… they obviously like a good pun! Has being involved in such trails led to other work? I think my involvement has certainly brought a level of interest from clients etc, but I wouldn’t say it has really led to other commercial work. There are obviously quite a lot of similar trails around the UK now (and the world) — for instance the Owls in Bath and Bees in Manchester — so there would be potential to gain more sculpture painting work, but this isn’t something I have actively pursued. That said, it has led to a couple of collaborative projects working with children in a local school. I worked with a group of 12 children to paint a school size Shaun the Sheep, and also a second project with a whole year group (90 kids!) to create a wall art piece. Both of these were quite challenging and took me completely out of my comfort zone, definitely positive experiences that likely wouldn’t have happened without the exposure I’d gained from sculpture trails. 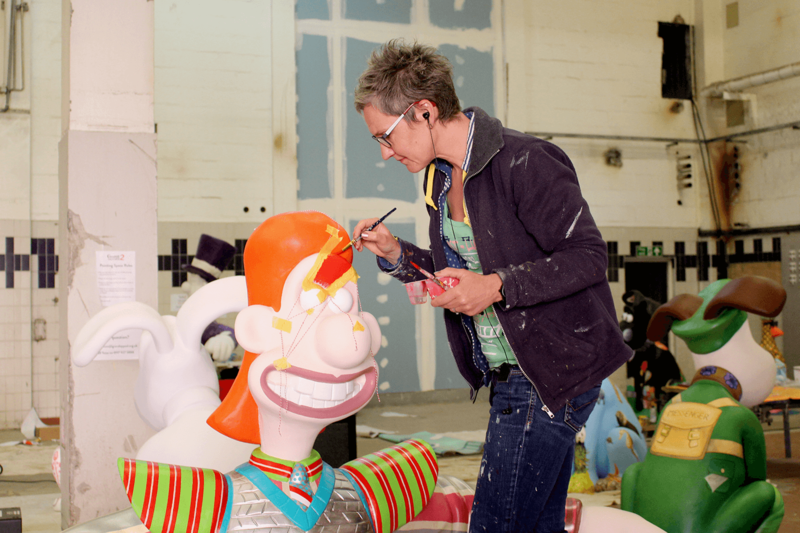 For me personally, I love to be involved in the Bristol sculpture trails, especially as they’re linked to Aardman characters. Bristol seems to have such an appetite for these trails, there’s always such a buzz around the city — it’s amazing to be a part of that, plus they’re really good fun to work on! Depending on the design, the sculptures can be pretty time-consuming to paint, so for me it probably wouldn’t be viable to do more, the charity aspect is certainly a factor in why I choose to be involved. 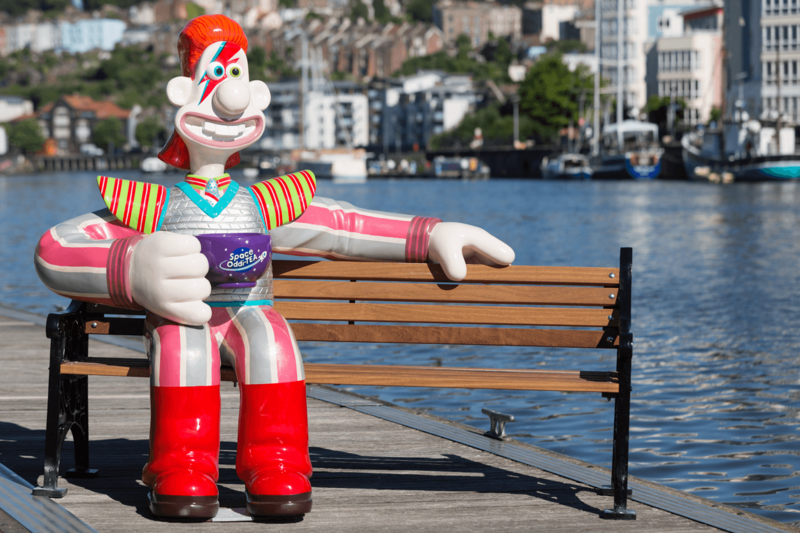 Carys’s design ​‘Space Oddi-tea’ will be located at Wapping Wharf for the duration of the Gromit Unleashed 2 trail, until September 2nd.